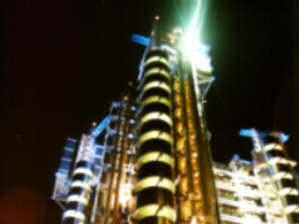 The Lloyds Building should be seen after dark. 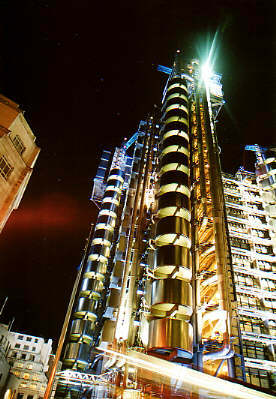 It is built in 1986 by the architecture that also designed Centre Pompidou in Paris, Richard Rogers. The lights of the building accentuate the structures and service parts like elevators and air-condition shafts. 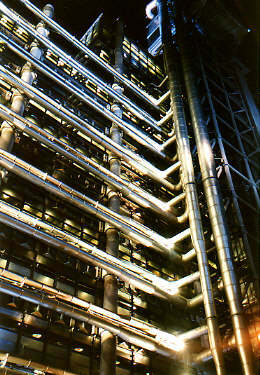 Even when you see the Lloyds building more times, you can walk around it in astonishment, looking up all the way. 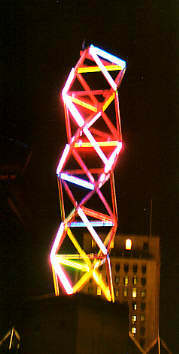 Another sight at night is the Neon Tower, a construction of 108 light tubes in 5 colors. It is almost 15 meters high and stands south of the Waterloo Bridge. It moves slowly, directed by the wind which is measured at the top of the tower.